Alternative energy cars can be quite expensive, but factor in the post-purchase savings and the numbers start looking much better. Electric car tax credits, available at both the federal and state levels, can make buying such a vehicle relatively affordable. The Plug-In Electric Drive Vehicle Credit (Internal Revenue Code 30D) first appeared in the Energy Improvement and Extension Act of 2008 and was later amended by the American Recovery and Reinvestment Act (ARRA) of 2009 and the American Taxpayer Relief Act (ATRA) of 2013. Section 30D(a) describes the credit requirements for cars and other four-wheeled vehicles. The taxpayer must have bought the vehicle new in 2010 or later and begun driving it the same year the credit was filed. The vehicle must weigh less than 14,000 pounds. The vehicle's battery must have a capacity of at least 4 kilowatt hours (kWh). The vehicle's battery must be rechargeable from an outside source (e.g. a wall outlet). Once a manufacturer sells at least 200,000 qualifying vehicles in the United States, the tax credit phases out over a year for that manufacturer's cars and then disappears altogether. The IRS website includes a report of cumulative plug-in electric vehicle sales by manufacturer for use in tracking the credit phaseout. A taxpayer who purchases a qualifying plug-in electric car or truck is eligible for a credit of at least $2,500. The credit increases by $417 for a car with a battery having a minimum capacity of 5 kWh. There's an additional $417 of credit per kWh of battery capacity over the 5 kWh minimum. The maximum total credit available is $7,500 per vehicle. 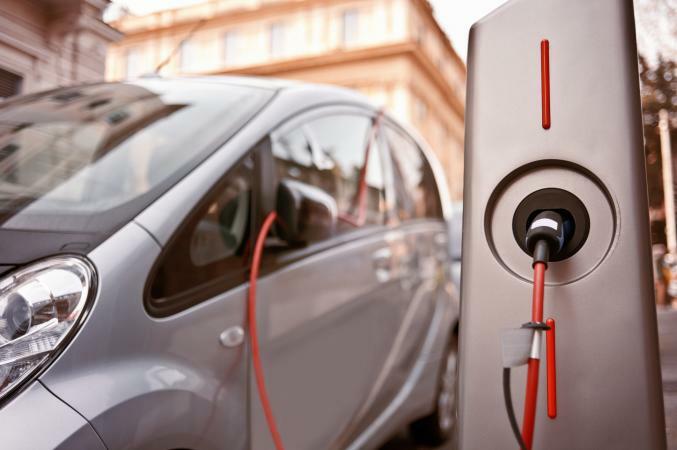 The IRS has provided a handy chart of qualified plug-in electric cars by manufacturer that includes the federal tax credit amount available for each vehicle. This tax credit is nonrefundable, meaning that a taxpayer can't get back more than the total amount of federal tax he owes. If the person buying the car is eligible for the full $7,500 credit but his total federal tax due for the year is $4,000, he or she can only claim a credit of $4,000. The remaining $3,500 of credit is lost. The first part is for basic information about the qualifying vehicle (or vehicles). The second part is only necessary if the taxpayer used the vehicle for business purposes. The third part includes the credit calculations for personal vehicles. More detailed instructions for filling out Form 8936 are posted on the IRS website. Colorado taxpayers can claim a credit on their state taxes for purchase or lease of plug-in electric vehicles and hybrids. The credit amount is based on the vehicle's MSRP (or leased value, for leased vehicles). It is capped at $6,000 for the 2016 tax year. Residents of Louisiana can receive a credit of 7.2% of the cost of a plug-in electric vehicle's purchase, up to a maximum of $1,500. This credit also applies to vehicles converted to alternative fuels, including electric. The state of Utah offers a tax credit of up to $1,500 for purchased and up to $1,000 for leased plug-in electric vehicles. There's also a credit for vehicles converted to alternative fuels; the credit equals 50% of the conversion cost, capped at $1,500. It's always wise to keep a copy of your vehicle's purchase or lease paperwork, but it's especially important if you've claimed a tax credit on that vehicle. The IRS can audit your tax return for up to three years after you file (or even longer if they suspect fraud). If that should happen, you will definitely need these documents to back up your claim for the credit. To be on the safe side, keep all your purchase or lease paperwork for as long as you own the vehicle.